Incredible VIEWS of Mall II and the Lake from several rooms of this 1500 square foot twin home. (Best location and views on Mall II). Features include open/bright floor plan, 2 bedrooms, 2 baths. Ceiling fans and solar tube lighting in some rooms. Canned lighting in kitchen, laminate flooring, beautiful windows in living room. Oversized double garage with great storage. An abundance of potential. 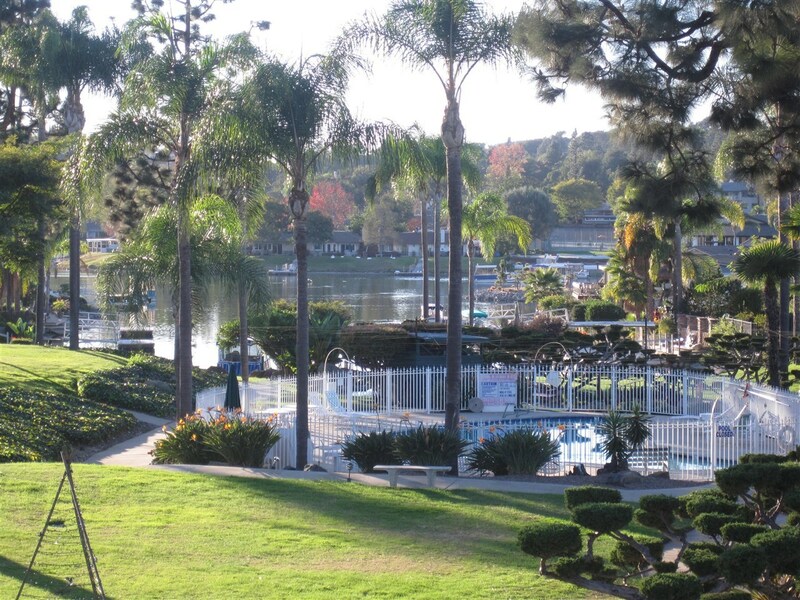 HOA includes all Lake amenities, Enjoy the lifestyle of this resort community. Boat and fish in the 81 acre private lake. Pay tennis, paddle ball and pickle ball. Two pools (one adult and one family). Many clubs and organizations to join. Dine at the new Decoy/Dockside restaurants. Two golf courses (championship and executive). 24 Hour Security available for low fee. Located only 15 minutes to beach, 30 minutes to downtown San Diego.